Quick summary: This activity is designed to get children connecting with nature, experiencing the health and developmental benefits of connecting with natural elements and messy play. Younger children will experience water through all their senses, investigating water in its different forms. 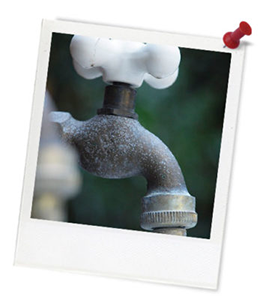 Older children will explore and experiment with water, investigating its various forms, states and uses; thinking about all the ways water is used and why it is important to conserve water. 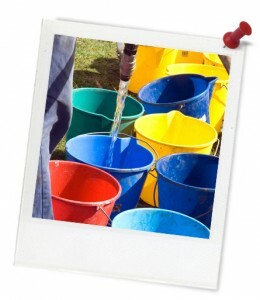 Equipment needed: Water; a range of buckets and containers; ice cube trays; paper and drawing materials, salt, animals and small world resources, natural materials and loose parts (rocks, leaves, bark, corks, seed pods, flowers, etc. ); towels and clean clothes. Learning goals: This activity is designed to get children connecting with nature, experiencing the health and developmental benefits of connecting with natural elements and messy play. Younger children will experience water through all their senses, investigating water in its different forms. Older children will explore and experiment with water, investigating its various forms, states and uses; thinking about all the ways water is used and why it is important to conserve water.